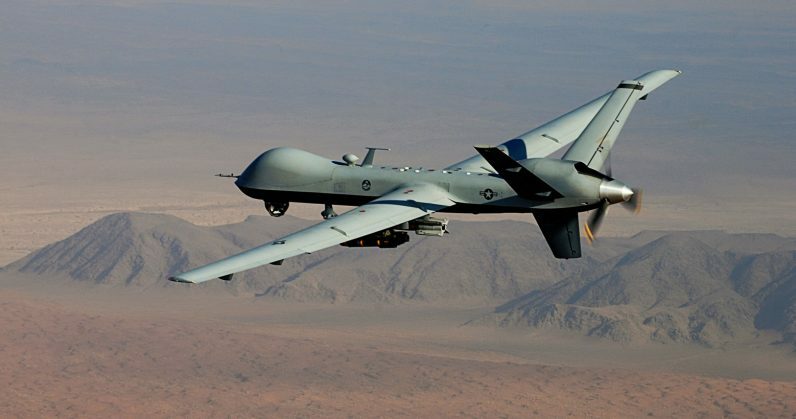 Gizmodo reports that Google employees are enraged at the company after discovering that the AI they built is presently being used by the US Department of Defense (DoD) to analyze the massive troves of video footage captured by military drones. It’s part of Project Maven, aka, Algorithmic Warfare Cross-Functional Team (AWCFT) (PDF), a Pentagon-driven project started last April to make use of big data and machine learning tech to advance the DoD’s capabilities in the field. The idea has been to use Google’s AI to identify vehicles and other objects in footage from drones; it was previously manually analyzed by humans, but these unmanned vehicles are now capturing more video than staff can keep up with, as the DoD is now racking up “millions of hours” of clips. It’s understandable that employees at Google would be concerned and angry to learn that what they’ve built may be used to assist military activities they may not be aligned with. But the company has attempted to allay those fears with a statement. It’s inevitable that military forces will turn to such technologies to further their efforts and capabilities. What’s unnerving is that is TensorFlow was initially revealed to the public in 2015 as the magic behind the image search system in Google Photos that helped surface pictures you shot on your phone using simple textual queries. This certainly won’t be the last time we hear of AI being repurposed for less innocuous applications than initially intended.